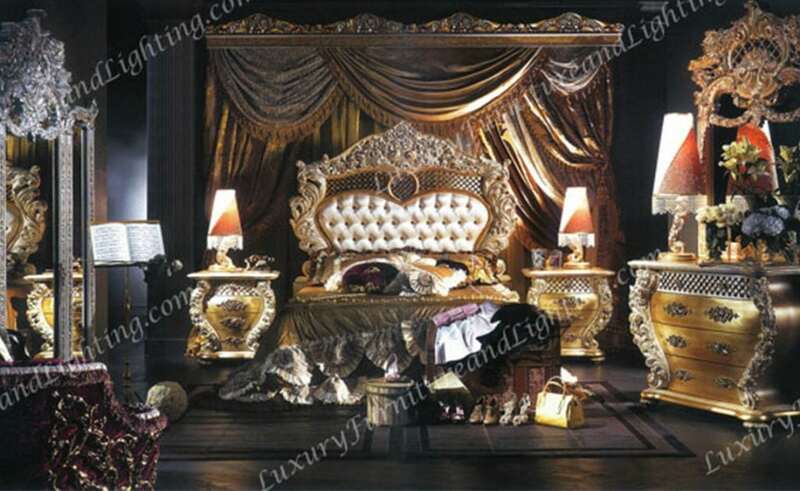 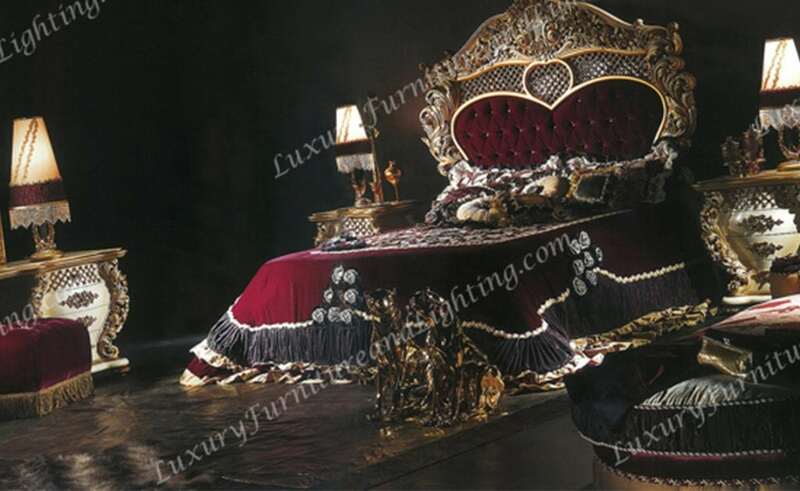 Create spectacular custom visions for the bedroom with Luxury Furniture and Lighting’s LUXE Bedroom collection. 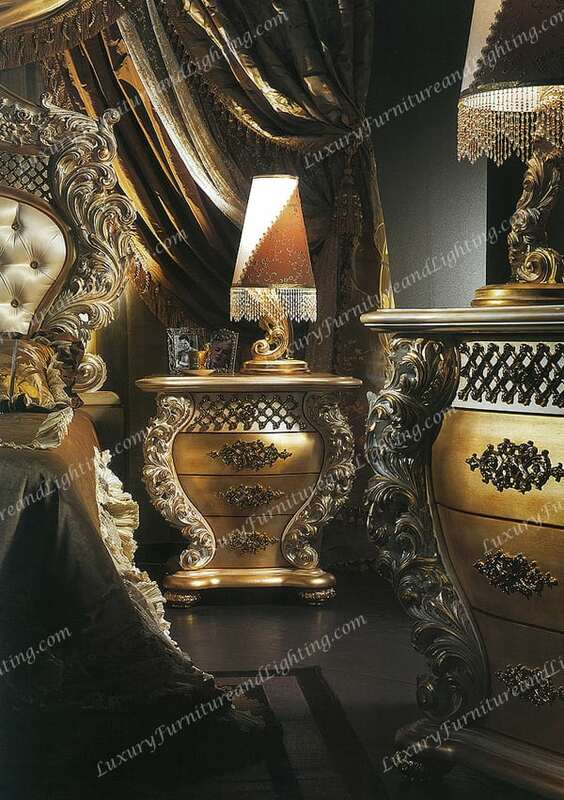 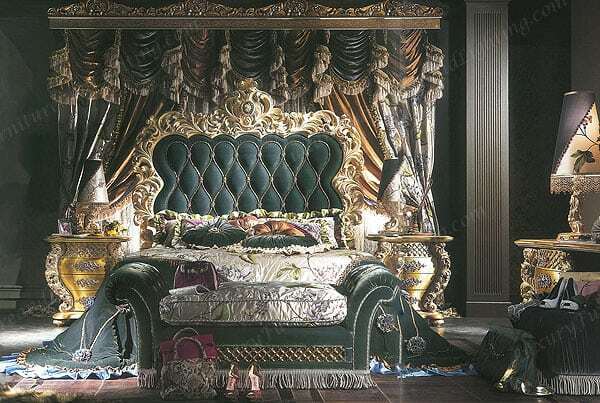 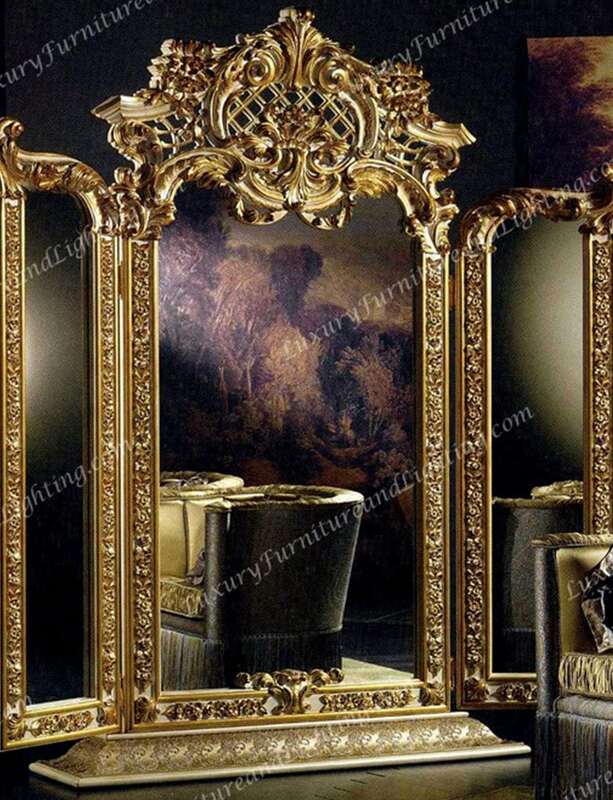 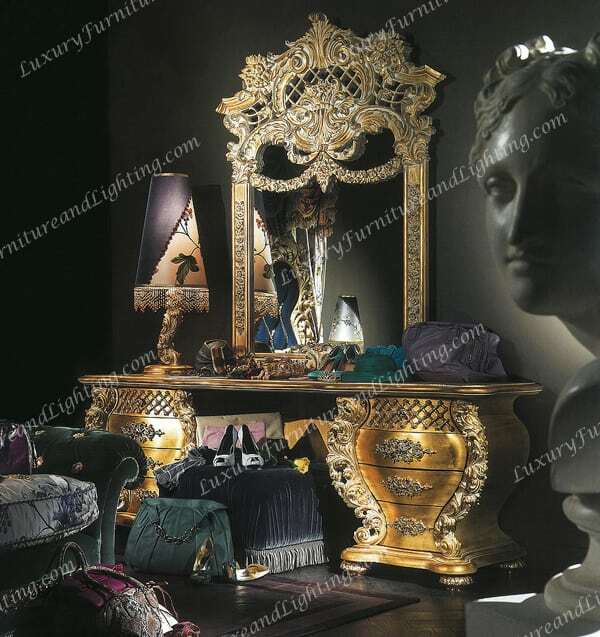 This ensemble of Italian Style décor is showcased through the LUXE collection in our classic bed, bedside table, dressing table, mirror, pouf, cheval mirror, and chaise lounge designs. We make your elegant concepts for stunning master bedrooms into reality at Luxury Furniture and Lighting. 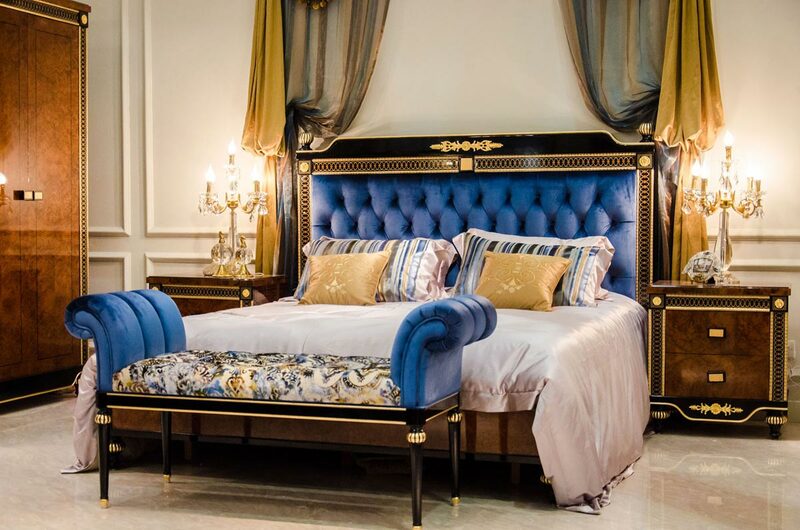 Our European-inspired, avant garde bedroom collection pieces are intricately handmade with only the finest materials and specialized crafts. 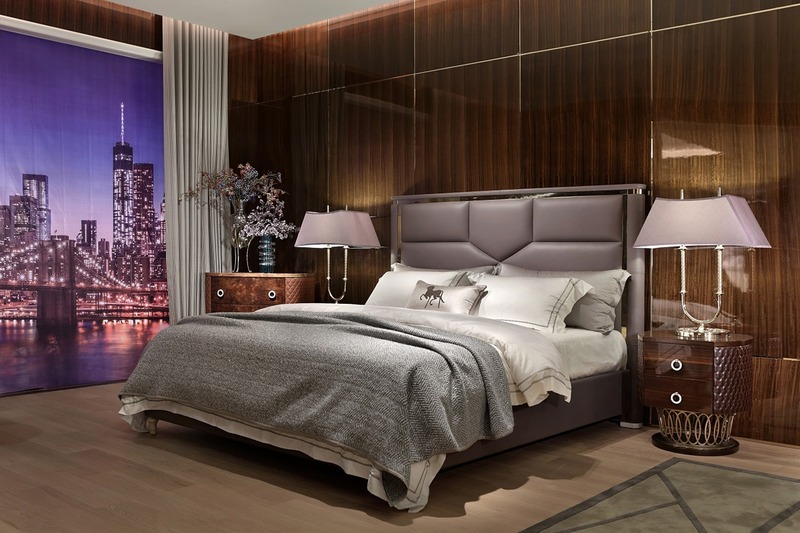 Our harmonious blending of designs create unique and impressive statement pieces for a master bedroom project – all tailored to meet your specifications. 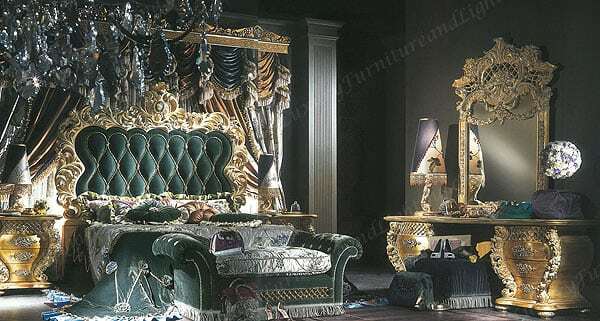 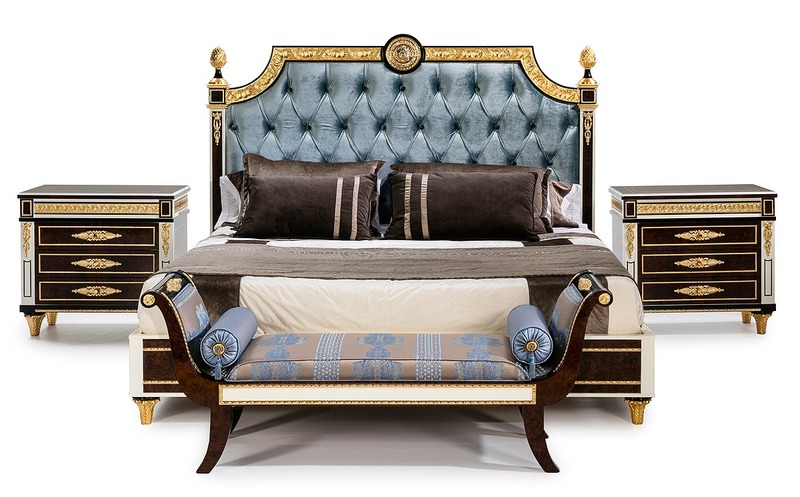 These pieces feature a German beech wood structure finished in lacquer, complemented by 24 karat gold brass decorations and customizable velvet fabric of the highest quality. 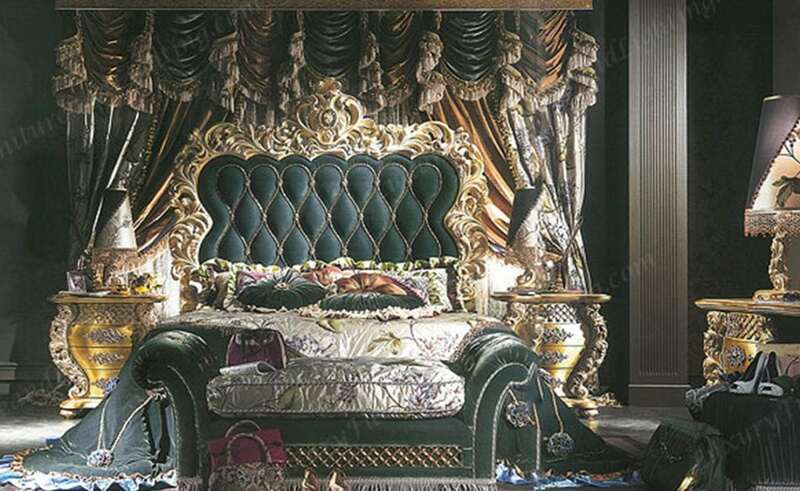 More time is spent in the bedroom than any other room in the home. 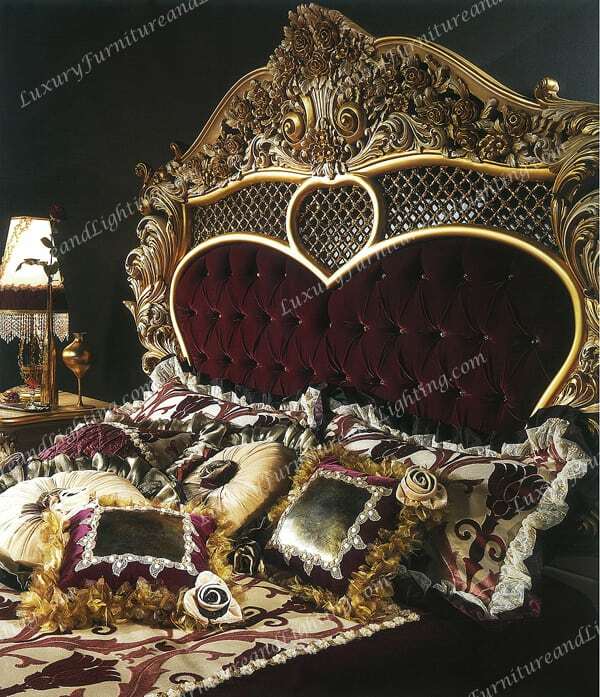 And while our beds are the focal point and obviously the central element, don’t overlook the importance of complimentary furniture such as bedside and dressing tables, mirrors, poufs, and other accessories to make your bedroom space stylish and first rate. 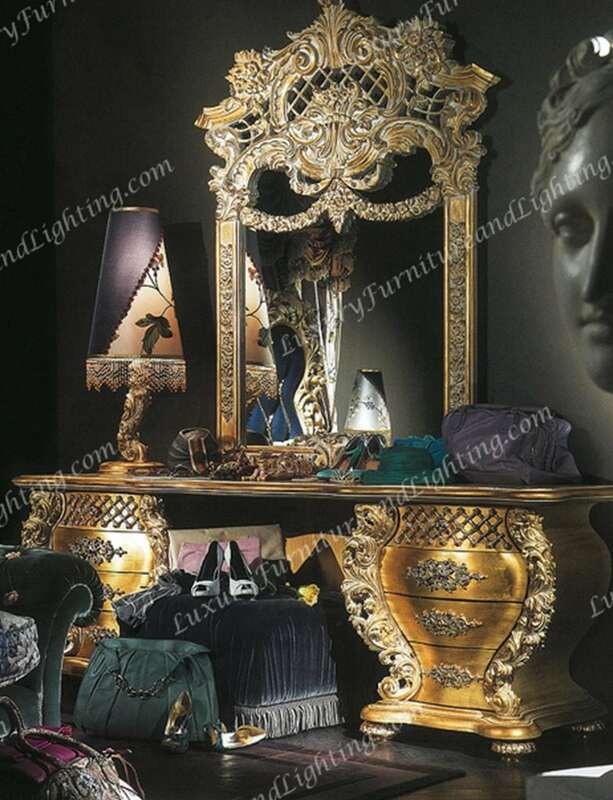 Luxury Furniture and Lighting is setting the industry standard for exceptional, high end European-style custom bedroom furniture. 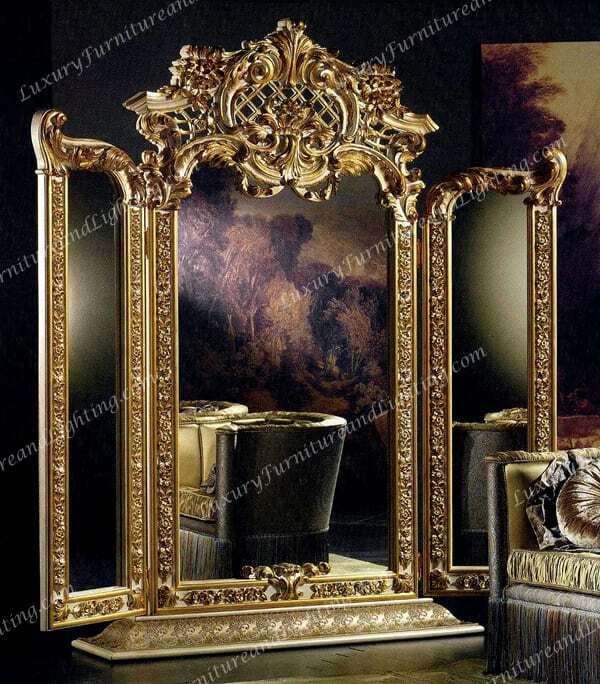 Treat yourself and order from the unrivaled LUXE collection today.